The organization formerly led by Secretary of Education Betsy DeVos is spending at least $325,000 this year to keep the Indiana General Assembly in Republican control. The Washington, D.C.-based advocacy group, the American Federation for Children, doesn’t give directly to candidates or parties but funnels its largesse through state partners. In Indiana, that’s Hoosiers for Quality Education, which has led the push for private-school vouchers and charter-school expansion. 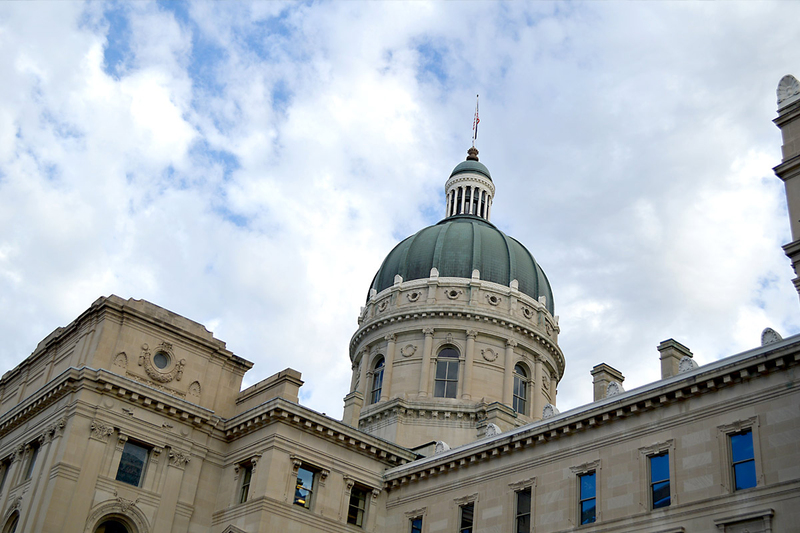 The federation’s political action fund gave Hoosiers for Quality Education $325,000 in three big contributions in 2018, according to campaign finance reports filed this month. That’s about half the money the Indiana-based group received this year. In turn, Hoosiers for Quality Education has handed out $575,000 this year, nearly all of it to the campaigns of Republican candidates for the Indiana House and Senate. It’s sitting on a cash balance of $170,000 that can be parceled out between now and Election Day if needed. That makes the school-choice advocacy group one of the biggest players in Indiana campaign finance. Indiana Business for Responsive Government, the political arm of the Indiana Chamber of Commerce, has spent just over $300,000. The Indiana State Teachers Association’s political committee has spent or contributed over $800,000, most but not all of it to support Democrats. While the ISTA PAC gets most of its money in small, voluntary contributions from teachers, the American Federation for Children relies on a few big donations from rich individuals. This year those included $375,000 from California billionaire William Oberndorf, the group’s chair, and $325,000 from Walmart heir Jim Walton. DeVos and her husband gave over $500,000 in 2016 before she stepped down as chair. In addition to the federation, Hoosiers for Quality Education donors this year included Fred Klipsch, the group’s founder, and former George W. Bush economic adviser Allan Hubbard, who each gave $50,000. The group got $100,000 from Florida-based Red Apple Development, a sister company to Charter Schools USA, which runs three state takeover schools in Indianapolis. Republicans hold supermajorities in both the House and Senate in Indiana, and it would take a real blue wave for Democrats to make inroads. But campaign contributions aren’t just about winning elections; they can also help set and enforce the party’s agenda after the elections are over. If issues with school vouchers and charter schools arise in the 2019 legislative session, the real debates are likely to take place behind closed doors in Republican caucus meetings. And any GOP lawmakers who don’t get with the program will be reminded where the campaign dollars came from. This entry was posted in Uncategorized and tagged American Federation for Children, campaign finance, elections, Hoosiers for Quality Education, Indiana General Assembly, legislature by stevehinnefeld. Bookmark the permalink.